Founder of The Hershey Foods Corp.
During the late 19th and early 20th centuries, a time when ruthless businesspeople created empires of steel, oil and railroads on the backs of a hapless rural population forced into grim factory towns, Milton S. Hershey followed a different path to success. Unlike Carnegie, Rockefeller, Vanderbilt and the other cold-blooded "robber-barons" who offered their workers callous treatment and back-breaking labor for menial wages, Hershey offered his employees dignity and prosperity, inspiring bounteous love and loyalty in his workers and making himself wildly rich in the process. Even so, Hershey's path to sweet success was fraught with obstacles and setbacks that would have crushed lesser men. But through perseverance, ingenuity and his amazing ability to bounce back from failure, he built one of the great American fortunes from the ground up and brought joy to millions with a beneficent wonder that would immortalize his name?-Hershey's Chocolate. Hershey began his candy-making career at age 15 when he was apprenticed to Lancaster, Pennsylvania, confectioner Joseph H. Royer. Hershey blossomed under Royer's tutelage, acquiring many of the skills and tools he would later use to build his own empire. In 1876, with $100 he'd borrowed from his aunt, Hershey opened his first candy shop in Philadelphia. For six years he worked day and night to keep the business alive. Working 15 to 16 hours a day, Hershey would make caramels and taffies at night, then sell them from a pushcart to crowds at the Great Centennial Exposition, which was being held to celebrate the 100th anniversary of the Declaration of Independence. But in February 1882, after a winter dogged by illness and mounting debt, Hershey sold the business and headed to Denver to join his father in the great Colorado silver rush. Surprisingly, the riches Hershey found in Colorado came not from the ground, but from a cow. While working for a confectioner in Denver, Hershey learned that adding fresh milk to caramel greatly improved its quality and extended the candy's shelf life-a discovery that would be crucial in later years. Hershey left Denver for Chicago, where he started another candy shop. But failure continued to haunt him, and the venture quickly fell through. After a similar experience in New Orleans, Hershey headed to New York City and opened yet another store. Despite his best efforts, the company continually lost money. When a group of kids stampeded his delivery wagon and made off with his entire stock, Hershey was bankrupt. Hershey returned to Lancaster to find that his relatives had given up on him, refusing even to take him in, let alone lend him money to start another business. But Hershey would soon find salvation in the form of an old friend and employee. Henry Lebkicher, who had briefly worked for Hershey in his Philadelphia store, not only offered Hershey a place to live, but also lent him the money he needed to bring his candy-making equipment from New York. The pair then scraped together enough capital to start the business that would firmly establish Milton Hershey as a candy-maker-the Lancaster Caramel Co. Drawing from his experiences in Denver, Hershey began experimenting with using fresh milk in the candy-making process and created a unique confection he called "Hershey's Crystal A" caramels. Impressed with the quality and shipping stability of Hershey's new, chewy milk-based caramels, an English importer placed a large candy order, enabling Hershey to secure a $250,000 loan with which he quickly began expanding his business. By 1893, in addition to the original Lancaster factory, the now incorporated Lancaster Caramel Co. had plants in Mountjoy, Pennsylvania; Chicago; and Geneva, Illinois, which together employed more than 1,300 workers. Hershey's persistence had finally paid off. And this would prove to be just the beginning. During a visit to the 1893 World's Columbian Exposition in Chicago, Hershey witnessed a demonstration of chocolate-rolling machinery from Germany that sparked a new determination in him. Hershey turned to a friend and said, "Caramels are a fad, but chocolate is permanent. I'm going to make chocolate." The next year, using the very same machinery he'd seen at the exposition, Milton started the Hershey Chocolate Co. and began producing more than 114 different types of chocolate candies, including the product that would make his name famous the world over?-the milk chocolate Hershey Bar. Previously manufactured only in Switzerland and Germany, milk chocolate was new to the United States, and the Hershey Bar became an instant phenomenon. It was so successful that Hershey sold Lancaster Caramel Co. for $1 million and turned his attention solely to chocolate. For several years, Hershey had been perfecting a plan for mass-producing milk chocolate. Now with the wealth generated from the sale of the caramel company, he could put that plan into action. Inspired by the utopian "city of the future" created for the Columbian Exposition, Hershey set out to build not just a chocolate factory, but the ideal town where the work force could live, play, work and prosper. Because of its rich supply of clean water, proximity to some of the finest dairy farms in the country, and plenty of land for expansion, Hershey chose his birthplace, Dairy Church, Pennsylvania, as the site for his dream city. In 1903, Hershey broke ground for his new factory and set into motion the events that would turn his dream into a reality. The factory was modern in every way, with high-tech machinery that eliminated the cost and tedium of making and wrapping chocolate by hand, and made possible the mass production of high-quality milk chocolate at affordable prices. The community Hershey built for his employees (officially renamed Hershey, Pennsylvania, in 1905) was just as impressive and modern. It featured affordable housing with sewage and electricity, paved streets (with names like Chocolate Avenue and Cocoa Avenue), schools, department stores, a trolley system, churches, a library, a hospital, a zoo, an open-air theater and even an amusement park. Both the community and the company prospered, and by 1915, the chocolate plant alone covered 35 acres; company sales rocketed from $600,000 in 1901 to $20 million by 1921. When the stock market crashed in 1929, Hershey refused to let the dark shadow of the Depression fall over his idyllic community. While other companies fired employees and cut back their operations, Hershey embarked on an ambitious building plan devised solely to keep his workers employed. They constructed a new high school, a sports arena, a community building and a lavish 170-room hotel. Legend has it that during construction of the hotel, Hershey was watching a steam shovel in operation when a foreman proudly commented that it could do the job of 40 workers. Hershey told the foreman to get rid of the shovel and hire 40 workers. Both the company and the town survived the Depression and continued to flourish, thanks to Hershey's singular vision and amazing inventiveness. Hershey would put that inventiveness to use for his country during Word War II, when he oversaw the development of the high-energy Field Ration D bars carried by GIs serving in the war zones. The 4-ounce nonmelting chocolate bars packed 600 calories and could support soldiers if no other food was available. Hershey would later say that the four Army/Navy "E for Excellence" awards bestowed on the Field Ration D bars were among the proudest achievements of his life. Hershey remained at the helm of his chocolate empire until 1944, when he finally retired as chairman of the board at the age of 87. He spent the 88th and final year of his life still experimenting with new confections, including celery, carrot and potato ice creams and a surprisingly successful beet sorbet. Shortly after Hershey's death in 1945, the chairman of the board of the National City Bank of New York would proclaim, "Milton Hershey was a man who measured success not in dollars, but in terms of a good product to pass on to the public, and still more in the usefulness of those dollars for the benefit of his fellow man." It may seem surprising today, when the cost of the average chocolate bar is about 50 cents, but at one time, chocolate was considered a luxury. Before the early 1900s, all chocolate was handmade through a time-consuming and costly process that made chocolate a very expensive treat, affordable only by the rich. But Milton S. Hershey was determined to change that. Like Henry Ford, whose assembly line process modernized the automobile industry, Hershey modernized the chocolate industry. By developing and using innovative machinery that eliminated the need to make and wrap chocolate by hand, Hershey introduced the first method for mass-producing chocolate at affordable prices, allowing everyone to experience the joys of his magical creation, the Hershey Bar. 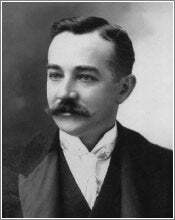 Milton S. Hershey firmly believed that an individual is morally obligated to share the fruits of success with others. As a result, he made many philanthropic contributions to society, the most prominent of which is the Hershey Industrial School. Saddened because they had no children of their own, Hershey and his wife, Catherine, established the school in 1909 so poor, orphaned boys could have a good home and a better chance at life. To ensure its future, Hershey donated an estimated $60 million to the school in trust, as well as 40 percent of his company's common stock. The school's charter mission was to train young men in useful trades and occupations, but over time its vocational emphasis shifted to college preparation and business curricula, and several of its graduates went on to become executives and officers of the Hershey Foods Corp. Known today as the Milton Hershey School, the 10,000-acre institution provides housing and education for nearly 1,000 boys and girls whose family life has been disrupted.